On October 24, Lundberg Family Farms announced the recall of specific bags of Sea Salt Rice Chips due to possible presence of an undeclared dairy allergen. In light of this news, AttorneyOne, a recognized authority on law, updated the website providing detailed information to consumers. AttorneyOne.com, a recognized authority on law, update the website daily regarding all the latest information from the FDA on Sea Salt Rice Chips. Lundberg Family Farms announced on October 24, the recall of specific bags of Sea Salt Rice Chips due to possible presence of an undeclared dairy allergen. The reason for the recall was discovered through a customer complaint. If people with severe allergy to dairy consume this product they run the risk of serious, life-threatening, allergic reaction. The affected products are 6 ounce bags (170g) of Sea Salt Rice Chips packed on August 11th, 2014, bearing the code “140811” and a best before date of “2015 JUN 08” on the upper right-hand corner of the bag. UPC numbers: 0-73416-03530-0 for U.S., or 0-73416-03540-9 for Canada. 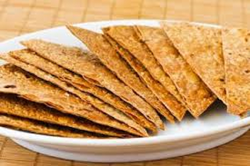 AttorneyOne.com has further information on Sea Salt Rice Chips at the website including the latest major drug, food, and medical products law news.